Student project utilizes big data, AI, and machine learning technology to prevent climate-driven violent conflict in Africa’s Sahel region. 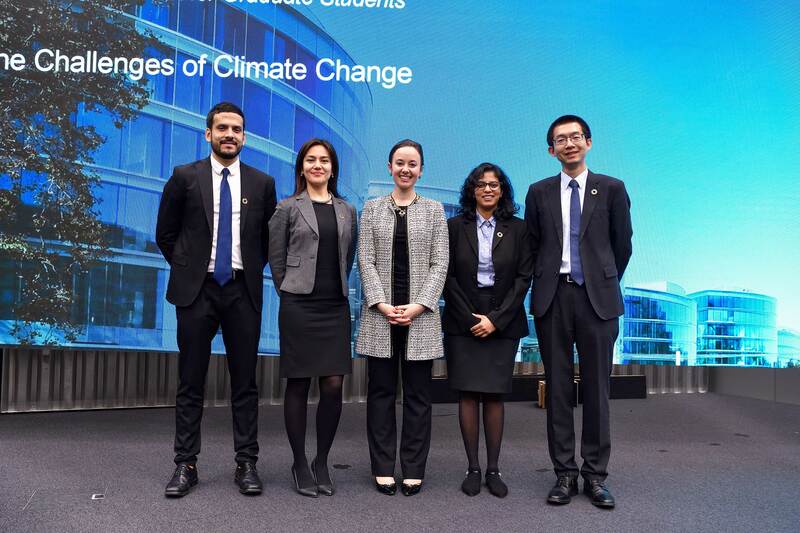 SIPA’s team of Sustainable Development Goals (SDG) Fellows — Jessica Arnold MIA ’19, Alonso Flores MPA ’19, Nigora Isamiddinova MPA-DP ’19, Nitasha Nair MPA ’19, and Ji Qi MPA-DP ’19 — has won the 2018 Geneva Challenge, a competition among graduate students “to present innovative and pragmatic solutions to address the main challenges of today’s world.” The theme of this year’s competition was fostering social and economic development in the context of challenges posed by climate change. 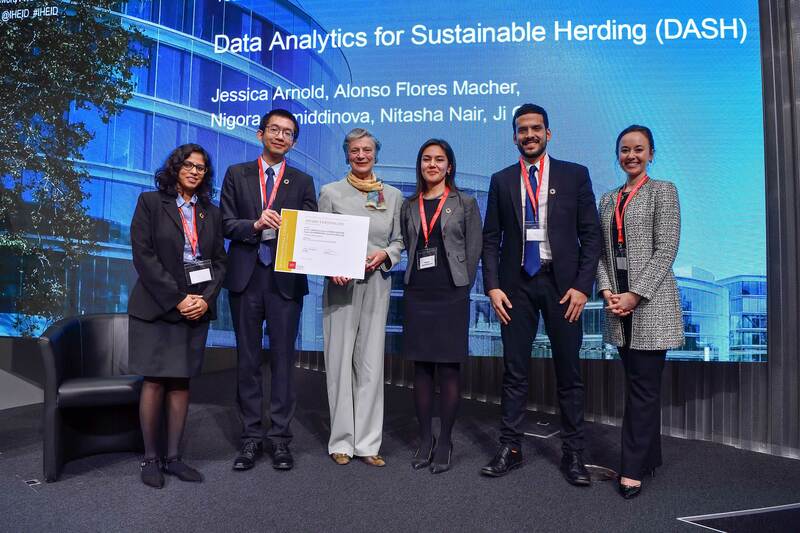 The team’s project, Data Analytics for Sustainable Herding, or DASH, proposes to map and analyze the changes in migration patterns, seasonality, and urban and agricultural development using data from satellites, mobile telecommunications, and GPS-enabled systems. Africa’s Sahel region is a semi-arid belt south of the Sahara, which includes 10 countries stretching from Senegal to Chad where climate change is making significant impact on agriculture and land use, human settlements, traditional migration patterns, and access to resources and markets. DASH would produce a forecasting model in close to real time by using big data analytics and artificial intelligence techniques to anticipate areas of potential violent conflict between farmers and pastoralists in the Sahel. The model could then be utilized to design effective and relevant policies on local, national, and regional levels. The United Nations’ Sustainable Development Goals (SDGs) “provides a shared blueprint for peace and prosperity for people and the planet, now and into the future.” The students’ project directly supports several explicit targets of the SDGs, including No Poverty; Sustainable Cities and Communities; Climate Action; Peace, Justice, and Strong Institutions; Life on Land; and Partnerships for the Goals. 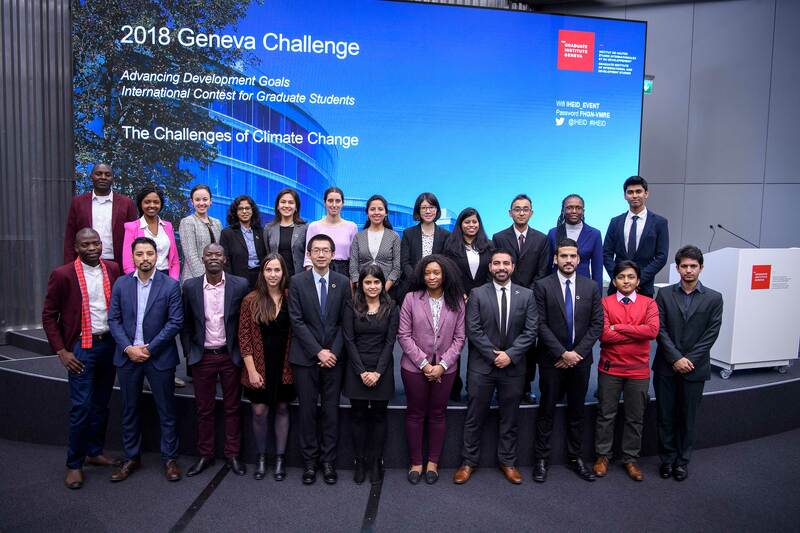 “Winning the Geneva Challenge is a very big deal and quite a distinction for the team, the School, and Columbia,” said Glenn Denning, the team’s faculty adviser and the founding director of SIPA’s Master of Public Administration in Development Practice program. “The SIPA team was innovative and pragmatic in deploying applying data analytics and artificial intelligence to map and predict conflict. The Geneva Challenge was launched in 2014 under the patronage of the late Kofi Annan, former Secretary General of the United Nations, and with the generous support of Ambassador Jenö Staehelin. This year’s prizes were given out by Annan’s wife, Nane Annan. Other prize winners included teams from BRAC University, ETH Zürich, Kenyatta University, and the University of Buenos Aires.